I have always been a travel freak. Every year, I explore a new region. Following my self-made ritual, I finalised Kasauli, Himachal Padesh as my next destination. There were two reasons behind choosing Kasauli. First, as it is a hill station in India, it will give me a break from the burning summers of Delhi and the second reason was, I had never been to the place. I found it a perfect place to enjoy a break from my routine life and summers of Delhi.I packed my bags after confirmation of the trip with Mala, my best buddy. 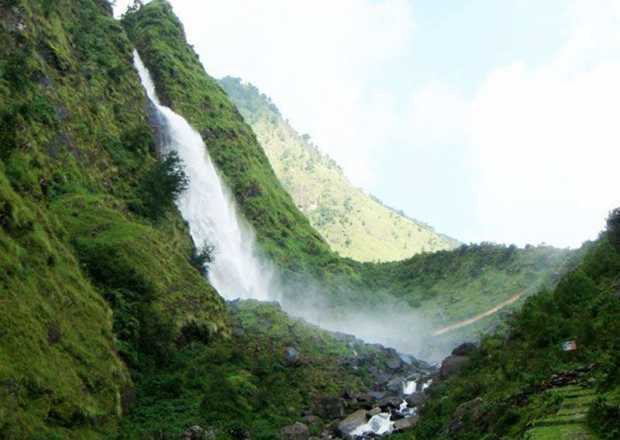 To ensure the comfort during the trip, we booked Kasauli tour package with a renowned travel company. I always prefer to choose the same company as I just love the services by their executives. Choosing them lets me concentrate on fun, the sole idea of taking a break. The day arrived. I told Mala to keep everything ready as we were supposed to meet outside my office. After winding up my work for the day, I asked Mala to reach my office. We took an auto and reached the decided pick up point. After loading our bags in the cab, we left for the destination. During the journey, the only thing that was running in our minds was the abundant natural beauty of this popular hill station in India. After few hours journey, we were in Kasauli. It was early morning. We checked in the booked hotel and rested for a few hours as the journey was followed by a tiring day at office. We got up at 11 and had breakfast in the hotel. Traditionally decorated, the hotel was a beautiful place to stay. Laden with all the amenities, the hotel was a quite decent place. The first attraction we explored in Kasauli hill station was the Monkey point. It is the highest point in Kasauli. Although, we had read all the information about this beautiful place yet being there was completely different. The point offers the amazing views of Chandigarh region. It was really hard to take off the eyes from the sight. Beautiful Satluj was looking like a silvery trail. Mala was just clicking the pictures to capture the beauty of this hill station in India, but live views are something out of the world experience. We also visited a small temple at Monkey Point. The temple is dedicated to Lord Hanuman and has a legend attached with it. According to the legend, while returning from Himalaya, foot of Lord Hanuman touched the hill. From Monkey point, we moved towards Barog, another place to enjoy the arresting natural views. Breathtaking views of Choor Chandni made us felt spell bound. Also known as the ‘Mountain of the Silver Bangle’, Choor Chandni is beautiful beyond imagination. After spending a couple of hours at Barog, we left for the hotel. We were so lost in the views that we forgot to have lunch. We realised it when we were moving towards hotel. After reaching hotel, the first thing we did was ordering dinner. We went in the room to freshen up ourselves. Our next day was packed for Sanawar and Dharampur. 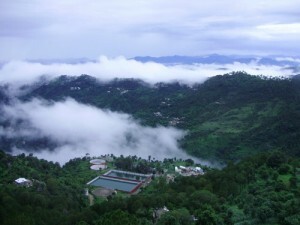 These both are in the vicinity of Kasauli hill station. After having breakfast, we left for Sanawar, around 6 km from Kasauli. It houses one of the best schools of the country, also a heritage attraction. For both of us, it was a unique attraction but for Mala it was something more than what it was for me. For her, this around hundred years old school was a blend of culture, tradition and heritage. According to the planned route, our next destination was Dharampur. 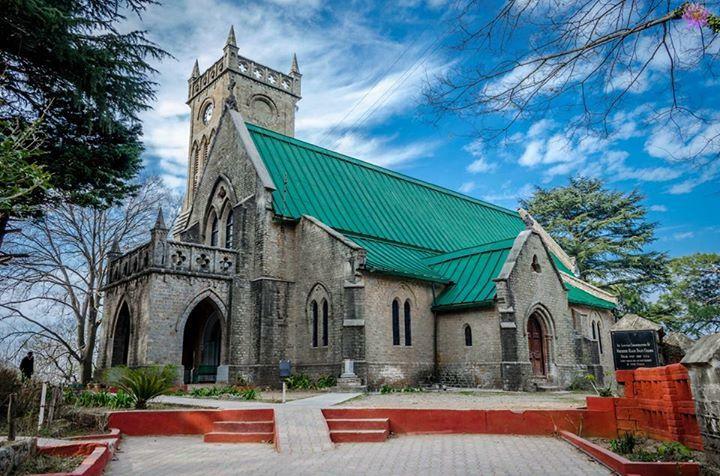 Located around 15 km from Kasauli, Dharampur is amazingly beautiful. Healthy air of the fragrant pines and lush green surrounding made us felt like we are in heaven and make you feel yourself even better as if you were using some neck firming cream. It was really hard to leave Dharampur. Even at a point we thought to elongate our plan but duties in office were not allowing us to do so. We we back to the hotel in the evening. The last day in Kasaauli, the charming hill station in India, was for shopping as visiting a place and not buying any souvenir is not at all acceptable for both of us. So, we shopped a lot in Upper and Lower malls. We bought handicraft items as souvenirs of our Kasauli trip. 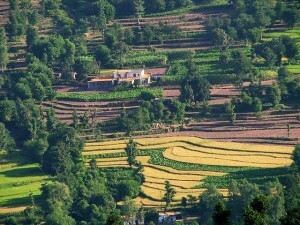 As we were having the evening in our hands, we decided to explore terrace farms in Kasauli. Amazingly beautiful, the terrace farms in Shivalik hills were looking like a beautiful painting. Due to shortage of time, we could not enjoy the views for long and returned to hotel. After reaching the hotel, we packed our bags and came back to Delhi on the same day. The trip to Kasauli hill station was amazing. We were obviously not happy to be back in our routine life but definitely our hearts and minds were filled with unforgettable memories.